Are the tables for all matching cut products the same? They are not. Because we want to keep our wide offer, you can find products with different cuts from different producers, such as The Mountain, Spiral Direct, Lazy One, Mr. Gugu and Miss Go and many more. This variety of our portfolio also means different size tables for most of the products. Therefore, the tables should be searched directly on the product page. How do I find size chart? It's absolutely easy! Just select some product and follow the instructions below. 1. 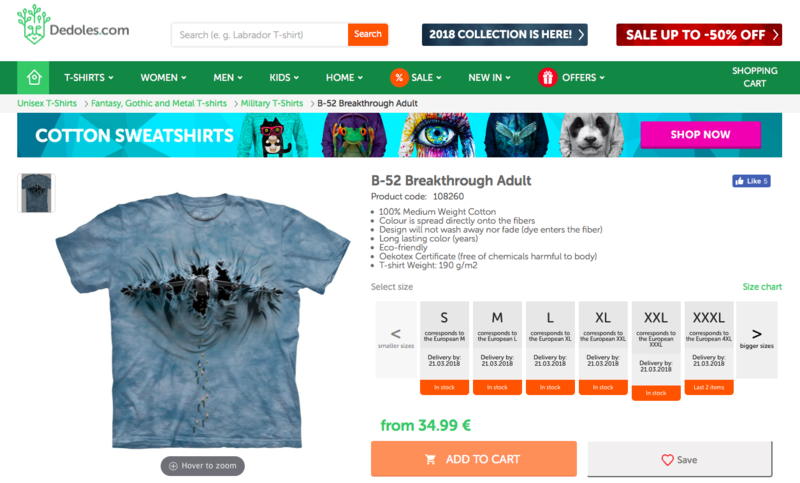 Open the product you are interested in - for example, T-Shirt B-52. Scroll down and below the benefits Why Shop with Us? you can find size chart (see the pictures below). Can I exchange product for a different size? Of course, if product doesn't fit you, you can return or exchange it for free. 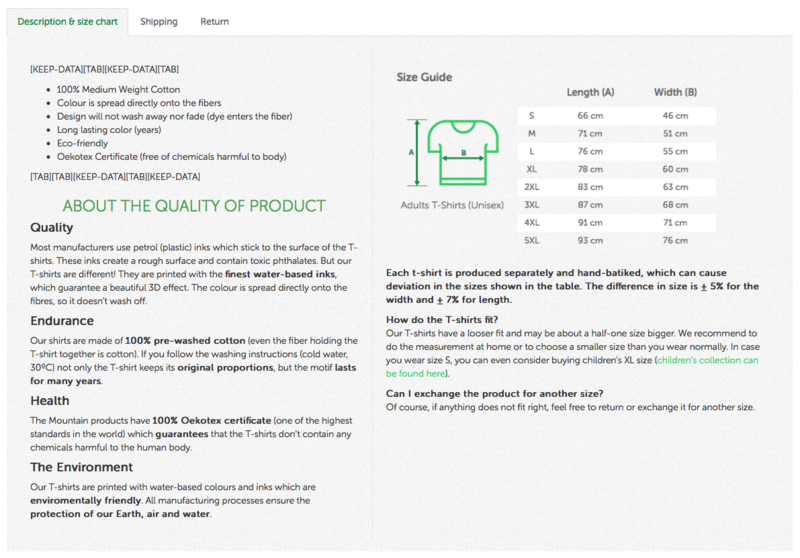 Each T-shirt from The Mountain manufacturer is produced separately and manually batiked, which can cause deviations in the sizes listed in the table. The difference in size is ± 5% for the width and ± 7% for lenght. If you wear size S, you can also consider buying a child size XL (child's collection can be found here).